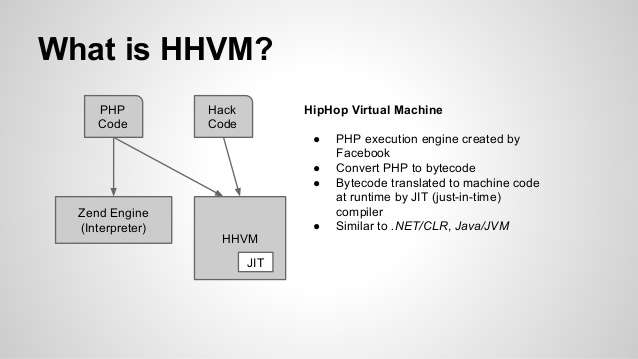 HipHop VM (HHVM) is an open-source virtual machine designed for executing programs written in PHP. 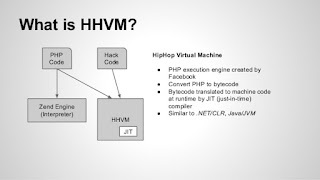 HHVM uses a just-in-time compilation approach to achieve superior performance while maintaining the flexibility that PHP developers are accustomed to. HipHop VM (and before it HPHPc) has realized more than a 5x increase in throughput for Facebook compared with Zend PHP 5.2. HipHop is most commonly run as a standalone server, replacing both Apache and modphp, but it can also run standalone scripts from the command line.